The Romeo Y Julieta Soberano is the brands latest limitada release for 2018. Sharing the same vitola as the Partagas Serie E No.2, the Soberanos are a very different cigar. Perfectly constructed with a slightly rough and oily wrapper, these cigars look beautiful. 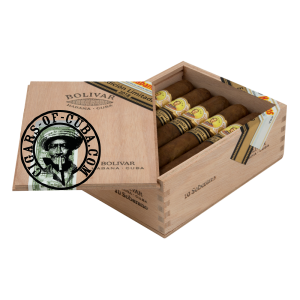 Medium to a true full bodied cigar with dominant dark bean flavours of coffee and cacao which later combine with earthier, wood and leather notes making the cigar very balance despite the young age. Great cigar now, but with a bit of time, the Soberano can become even better.